A Graphic Journey Through Mumbai – Deutscher Comicverein e.V. It’s always worth it to step out of your comfort zone. Those in Berlin who complain about various problems when it comes to city development should really take a look at Mumbai. 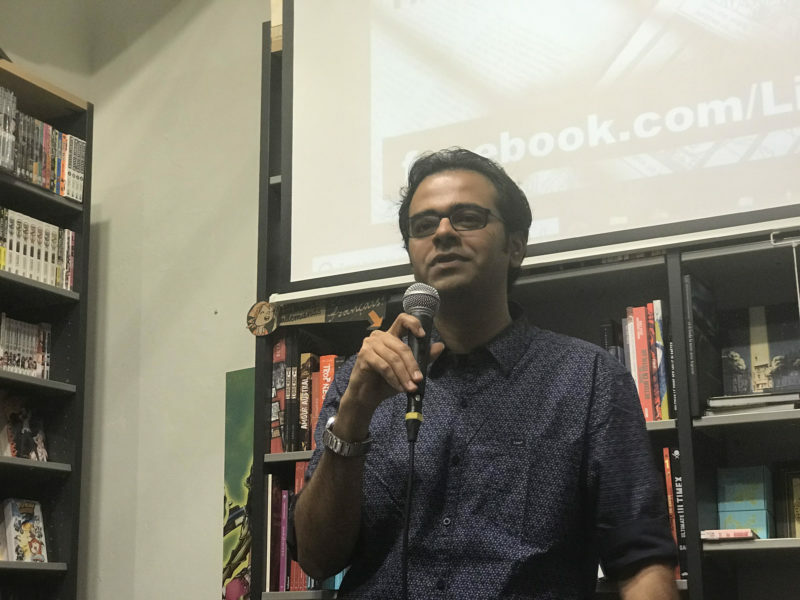 The architect, city planner and comic artist Nikhil Chaudhary was at Modern Graphics Kastanienallee on April 27, 2018, and presented the challenges Mumbai has to offer. He studied and worked there for many years before coming to Berlin, where he’s currently completing his studies in construction at the Hertie School of Governance. The German Comics Association invited the public to this free event, with Modern Graphics working as its partner. Using his own photos as well as comics on urban life in India’s largest city – there are an estimated 13 million inhabitants in the central part of the city alone – Chaudhary provided a clear overview in a humorous way of the various aspects of Mumbai’s city development. The giant construction projects carried out without the population actually moving into the buildings, the dominance of automobiles despite chronically congested streets, the threat to existing social and professional communities – all these things motivated Chaudhary early on to address and critically analyse urban conflicts, with the aim of greater openness. After Nikhil Chaudhary’s presentation, the large audience asked a number of insightful questions that opened up a lively discussion about India as well as urban and comic-related topics. You can find a selection of works by Chaudhary here: https://www.facebook.com/LinearExpression.